The holiday season is fast approaching, and now is the time to start with your shopping, if you haven't already. If you're like most people, the financial side of holiday shopping can be overwhelming when you are trying to get everything planned out in the right way while still staying on budget. You shouldn't feel guilty when spending your Holiday budget. Here are some helpful tips here so that you will be able to properly plan out your holiday shopping and stay within your means, whatever they may be. 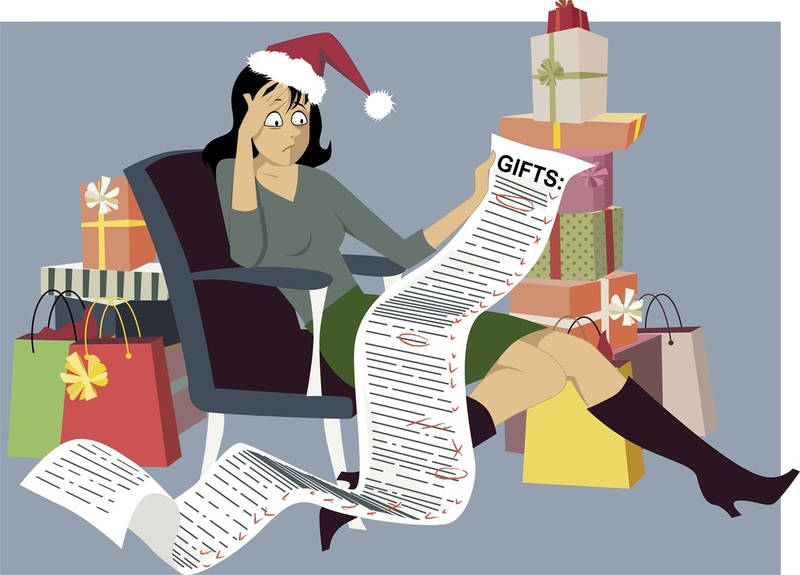 Know who you're buying for: Lists are going to be your best friend when you're looking at making sure that you get your holiday shopping underway in the right manner. So, write everyone down that you need to shop for and maybe even a few ideas on what you want to get them. This will help you get the most out of your time and energy. Shop year-round, not in December: Don't wait until the middle of December to start your holiday shopping, make time for it throughout the year. If you find something that so-and-so would like, buy it then and put it away! You'll love it as much as you love shopping in December, don't worry! Plus, it will help save time from "fighting" traffic and crowds, as they will be in excess this time of year. Have a few extra token gifts lying around: We all have those last minute invites over the holidays, random gifts we need to give. people we forgot (shhh, we won't tell) or those white elephant parties you didn't plan for, so grab a few “token gifts” when you can. A box of chocolates, a bottle of wine, a cute scarf , etc. They'll never go to waste, and you'll be able to be prepared for anything that pops up. It's also fun to find these little gift ideas. The best gifts mean the most: Remember that money isn't everything. If a gift costs you $20 and it's full of sentimental value, it'll be worth more than something that costs you $200. Remember that loved ones want to see that you care about them and that you focused on finding or even creating gifts that mean something to them and you. This is a great way to save on costs, add some creativity, and enjoy the process too! Put together a budget: A budget is always a great idea, and this is especially so over the holidays where you are prone to over-spending. Make sure that you pay attention to your budget and don't go over it. That way you will be able to be financially secure over (and after) the holidays. Side Note: what about creating a Holiday fund and set aside a few dollars, or ten, each paycheck or month to fund your holiday?! Despite what the books and movies want you to believe, the holiday season doesn't have to be something that is going to bankrupt you. You just need to make sure that you are careful with when and how you shop, and you focus on the sentimental value of gifts instead of the commercial value of them. This will help you enjoy your holiday season all the more and you'll be able to really see that this kind of planning can make a difference in the festivities. GPS Wealth Management would love to help you plan for your future which includes planning your annual holiday spending budget. Contact us at (832) 689-5746 to set up your consultation and get started.